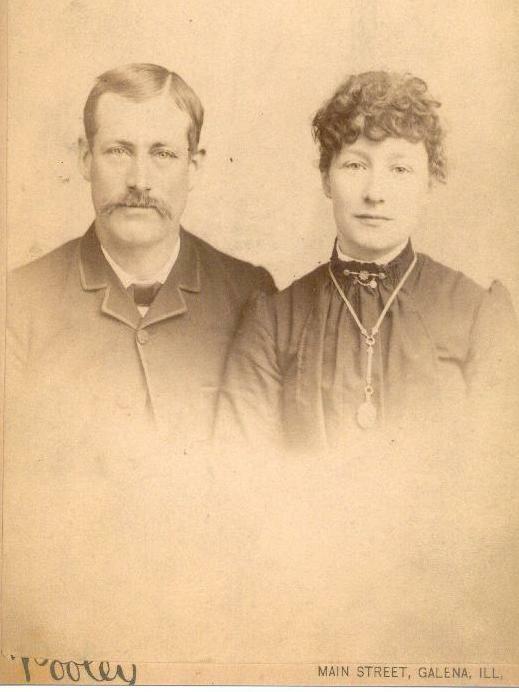 Photo of William Ritter and Jane Catherine Heer, taken probably at time of their marriage. Jane is the third child of 17 of David and Martha Heer. William Ritter was the son of Isaac Ritter and Rebecca Whittaker. Both William and Jane died in 1931 in Galena, IL.